The University of Washington’s Center for Creative Conservation and Earth Games program first approached us about wanting to host a game jam back in August of 2017 shortly after the Seattle Indies Game Jam and we were excited about the possibility of bringing this event to our members. 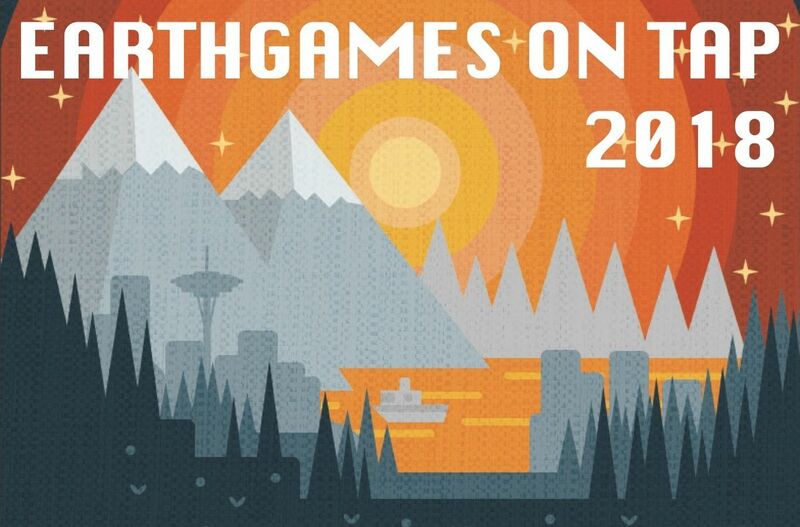 They had hosted the Earth Games on Tap event last year and had a good time with that but wanted to go bigger this year, bringing researchers and game developers together to meet and learn from each other. Pacific Science Center came on board as our host venue early on in the planning process and quickly got excited about helping us build a whole program of events around the jam. This included the two Science in the City talks and some climate change themed events that took place during the jam weekend to get PacSci guests thinking about the topic and interested in what was happening at the jam. The two talks ended up being great, with the first being a talk by Dr. Sarah Myhre on “How to call BS on bad climate science communication” and the second a panel discussion on game design by senior members of the Destiny dev team at Bungie. 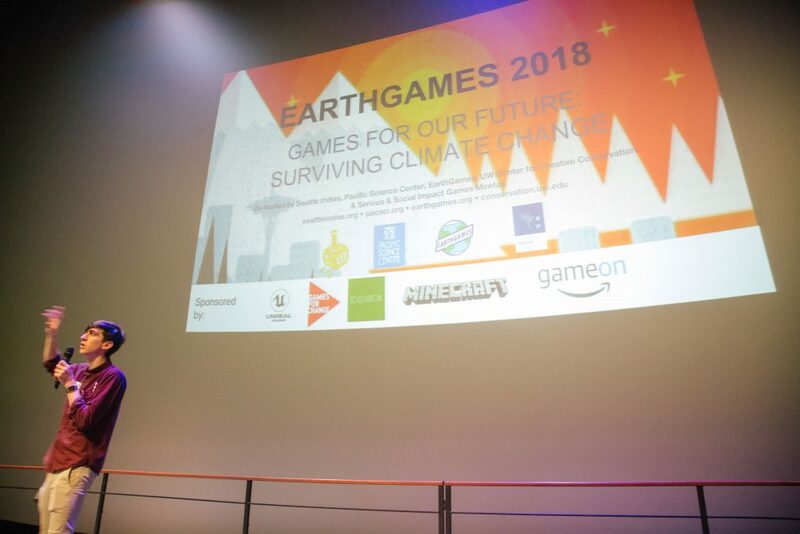 We also realized that game jam participants would need a bit of a crash course in climate change research if we really wanted the games to have scientific accuracy and impact on the game playing public. We thought about a pre-jam keynote speaker but that didn’t seem like enough preparation time and didn’t serve the purpose of bringing scientists and game devs together. 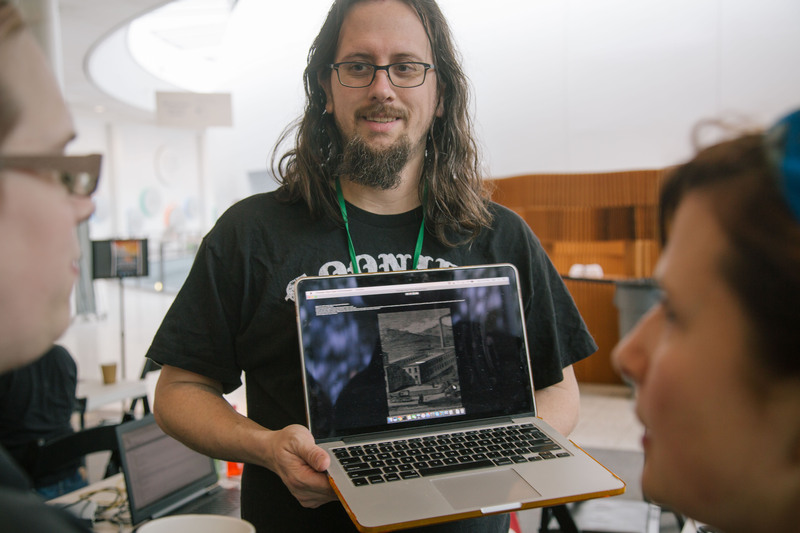 This is when the idea of the pre-jam mixer was brought up to give the researchers a chance to present their work and our devs a chance to meet them and ask questions and get ideas for the jam. You can re-watch the excellent micro talks by the UW researchers here. 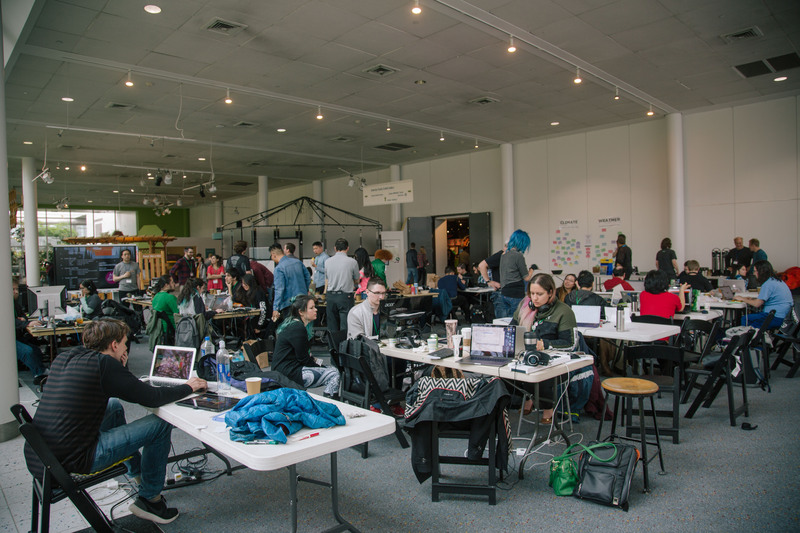 The jam itself ended up being different and more challenging than jams we’ve hosted in the past and far exceeded my expectations as an organizer. It was different in that the theme was known in advance where normally it is revealed at the start of the jam, and different in that the theme had a social consciousness bent to it which was also new for us but something we had been looking to do as an organization. 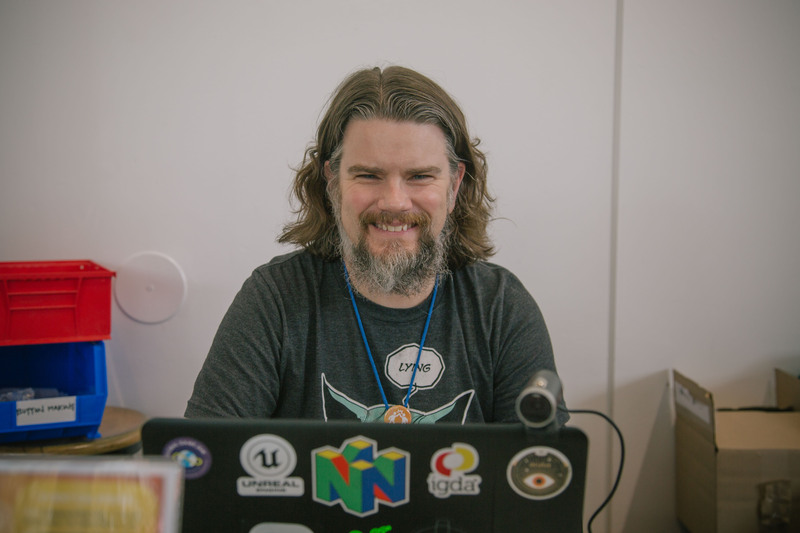 It was challenging from an organizational standpoint because it was the first time we had tried to include mentors in the process both from the game development and research side of things. 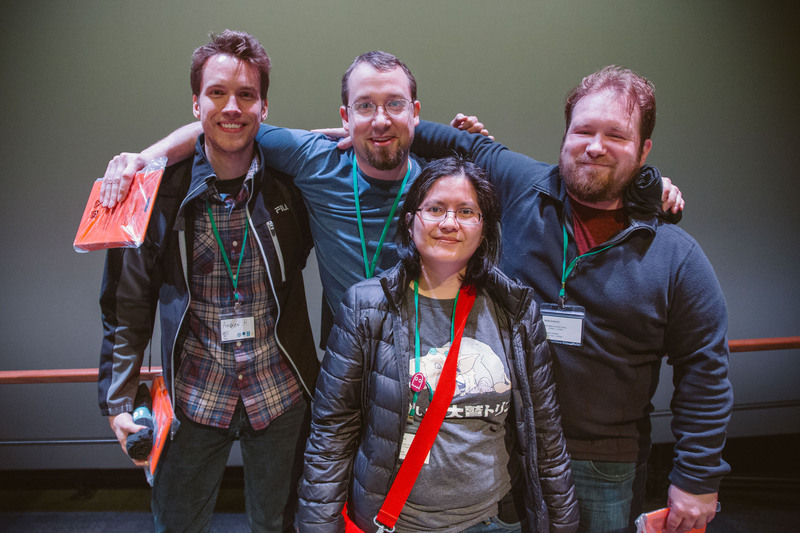 It was also our first time having judges at one of our jams so that meant coming up with prizes, which our great sponsors Epic Games, Amazon, Minecraft and ID@ Xbox generously provided and then coming up with a panel of judges who could impartially come up with their favorite games of the jam. We can’t thank them enough for what they added to the event and hope to include mentors in future jams. 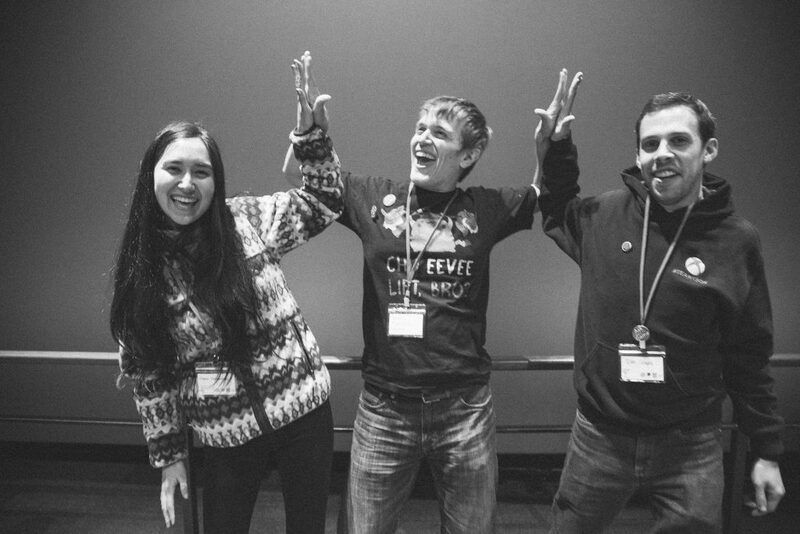 See all of the judges and mentors who participated here. 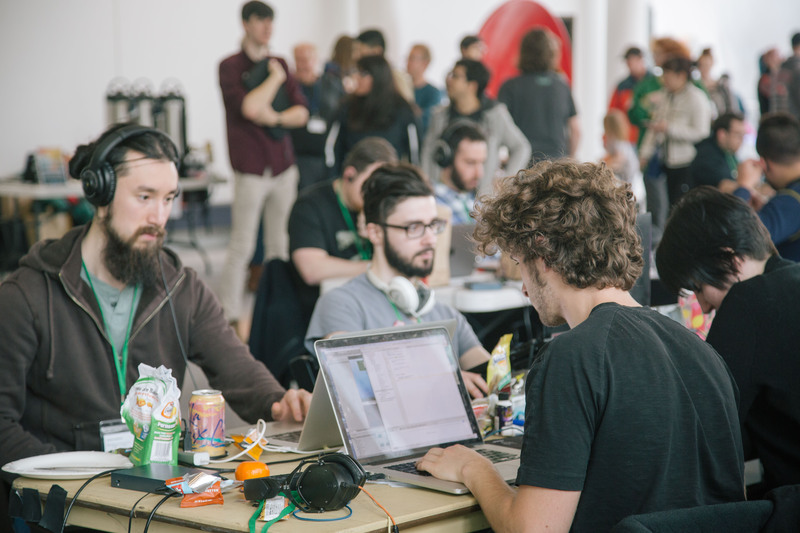 It was also challenging for the participants because we were asking them to translate complex research into digital and tabletop games that could translate that research into interactive experiences for the public and they only had 48 hrs to do it. 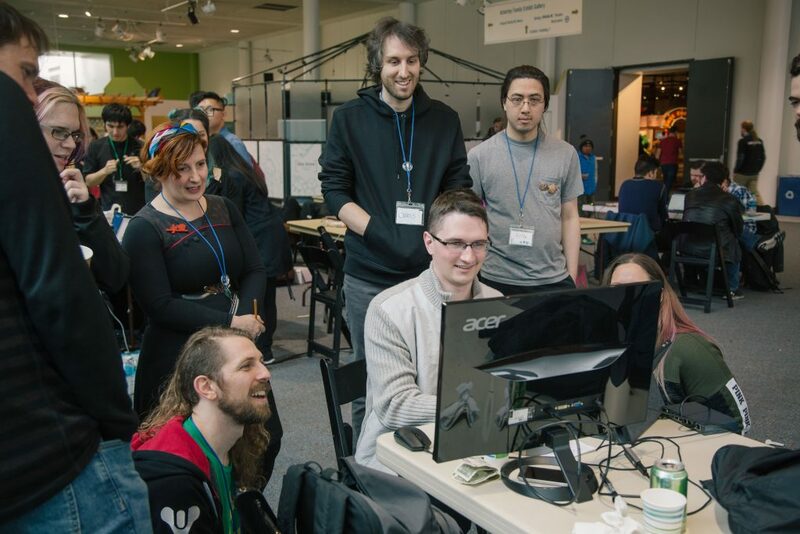 One of our concerns early on in the planning was that researchers would feel like we were trivializing what could be their life’s work with these small game jam experiences but the highly creative output from the jam more than assuaged those fears. You can experience them yourselves here. 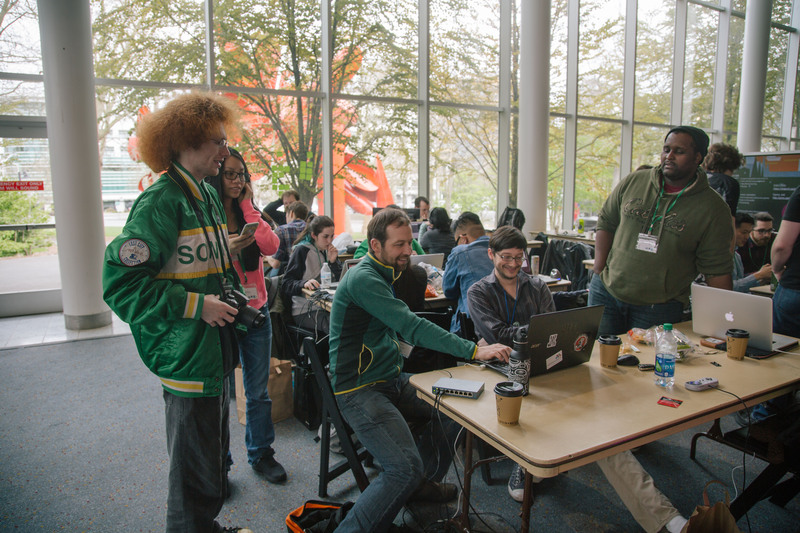 The energy level was high all weekend during the jam and was kicked off by a fun song and talk by UW’s Dargan Frierson and then a surprise appearance from James Portnow of Extra Credits to give our jammers some last minute inspiration before they got down to the business of making their games. You can see all of the game idea pitches here. 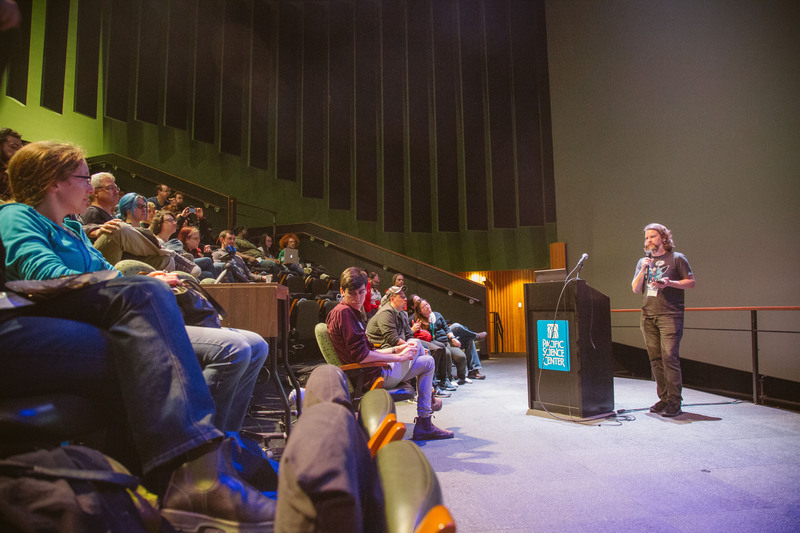 Saturday happened to coincide with the March for Science that ended up at the Seattle Center and saw a lot of passionate people make their way to PacSci and inquire about the jam and Seattle Indies. 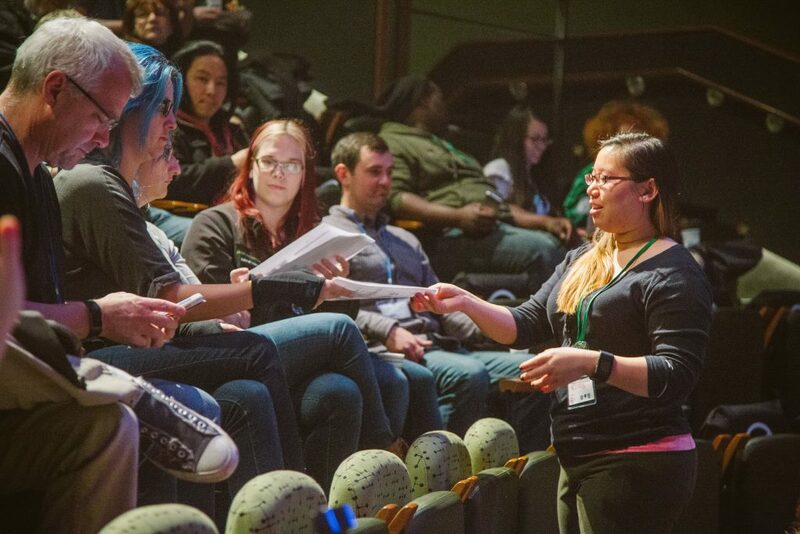 We had some very interested young people ask our jammers about pursuing game design as a career and many PacSci guests were interested in participating in a future jam and wanting to know more about Seattle Indies. 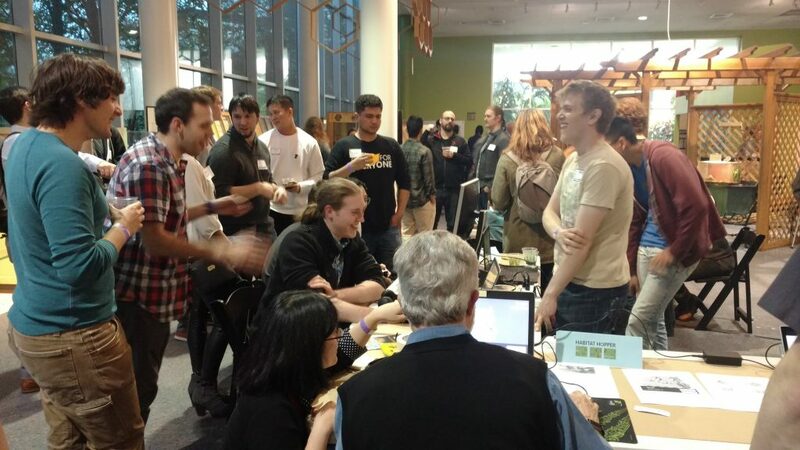 We also had all of our judges and many of the research mentors stop by to see how our jammers were progressing and give advice and help with both science and game development questions. Saturday evening concluded with a playtest session where the teams that were ready got a chance to have others play their games and give feedback. Many of our jammers spent the night at the Science Center and enjoyed a chance to check out some of the exhibits after hours. 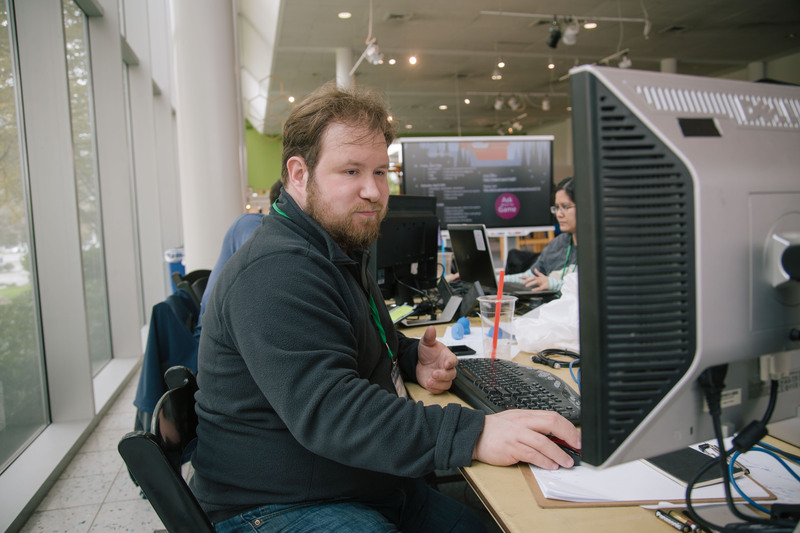 Sunday saw everyone typically in a flurry of activity finishing up their games and pushing to get their favorite features done and implemented. Once everyone was done putting their final touches on their games we moved over to the PACCAR IMAX theater at PacSci for final presentations and judging. Drought Burger took home the top prize as the judges favorite and Habitat Hopper was the runner-up. Check out the full video of the final presentations and judging here. 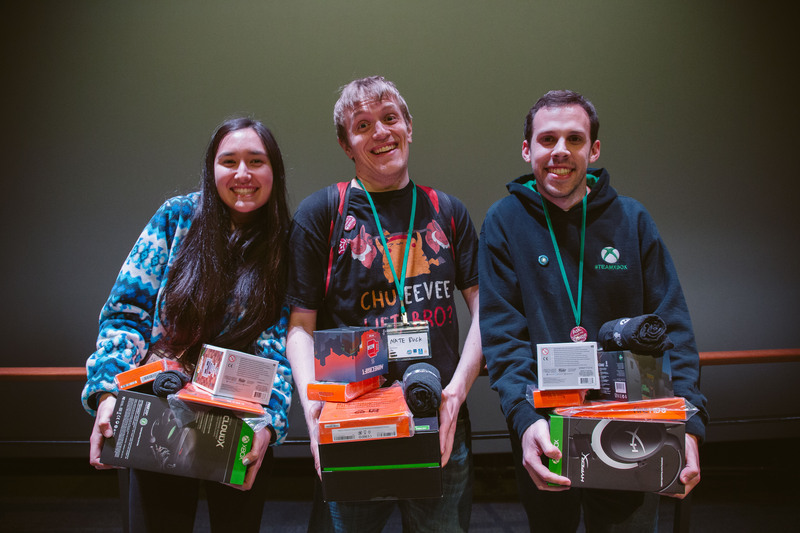 Thanks again to our sponsors for the great prize packs we were able to give out to the winners. Everyone had few days to recuperate before gathering back in the Ackerly Family Gallery of PacSci where we held the jam for Earth Games on Tap to celebrate the games made at the jam, play some professional and student developed games, enjoy food and drinks and hear some incredible talks from Tracy Fullerton and Eric Holthaus. 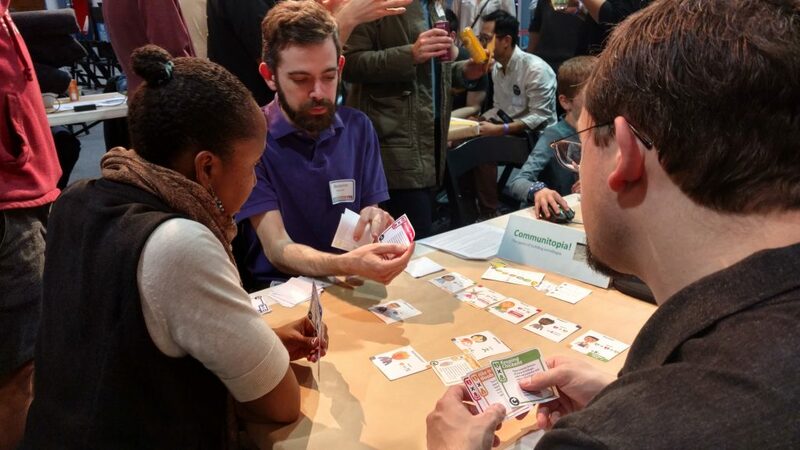 This was a great way to finish up the series of events surrounding the game jam, we had a people’s choice vote for the favorite games and once again Drought Burger was chosen as the favorite with Communitopia as the runner-up, the only tabletop game made at the jam and by a first time jammer no less. We hope that everyone who attended and participated had a wonderful time at the jam and surrounding events and hope we’ll see you again next year for a similar set of events, likely on a different topic of social relevance. 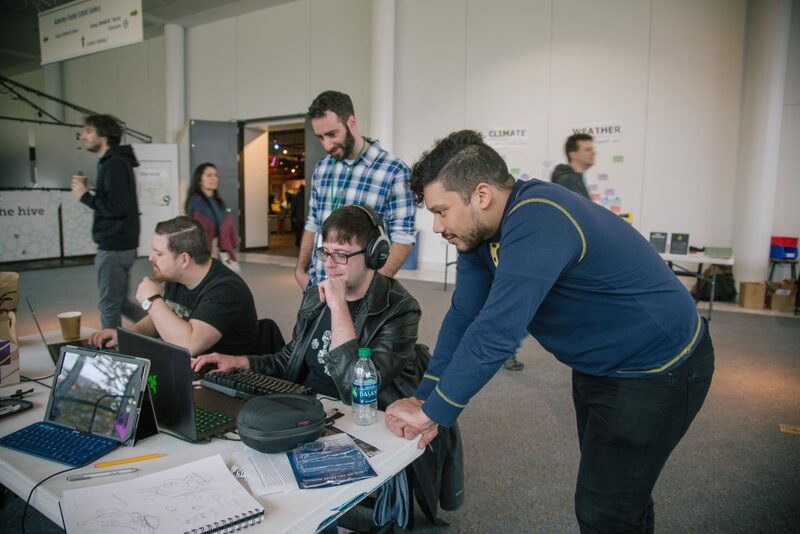 We’re also excited to announce that Pacific Science Center has agreed to be the host of the second annual Seattle Indies Game Jam which will take place sometime in the late October/early November time frame, we’ll announce details as we get closer and hope to see you there.